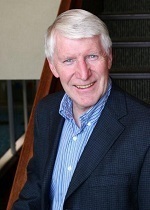 John Courtney, Executive Director & Board Member, Youth for Christ Winnipeg – John joined YFC Winnipeg in January 1973 as the Director of the High School ministry called Campus Life. In April 1977 he was appointed Executive Director. This year marks John’s 46th year of service with Youth for Christ Winnipeg. John has been married to his fantastic wife Susan for over 44 years. Together they have three sons and 8 grandchildren. .
John graduated after three years of biblical and pastoral training from Eastern Pentecostal Bible College in 1970. He was ordained in 1972. In 1980, he obtained a Bachelor of Religious Studies degree from Mennonite Brethren Bible College (currently known as CMU). In 1986 he obtained a Master of Ministry degree from Winnipeg Theological Seminary. In 1992 he obtained a Master of Arts degree from Providence Seminary and in 2011 he was awarded a Doctor of Ministry degree from Providence Seminary. John is passionate about the mission of reaching youth who have no idea God loves them and what He has done for them. A good holiday is exploring places he has never been, especially in a small fishing boat or gravel isolated roads. He deeply loves family.